The Basics of Wholesaling Real EstateHow to Wholesale Real Estate in 7 Steps#1: Locate Properties to Buy#2: Contact the Owner#3: Determining the property value#4: Estimating Repairs#5: Negotiate a Price and Get the Property Under Contract#6: Locate a Buyer for the Property#7: Close on the PropertyIs Real Estate Wholesaling Right for You? The real estate market offers investors many different ways to make money. Some of these methods involve a significant financial investment upfront—flipping houses and landlording are two of the most common examples. But if you don’t have money stored away to buy and fix up a property, or you have poor credit, there’s still a way to make a profit in the real estate market today: it’s called wholesaling. Real estate wholesaling isn’t as widely known as flipping and it’s not as straightforward as buying a rental property, but it is a real estate investing strategy that can be profitable to those who are willing to put in the necessary time and effort. Real estate wholesaling involves finding properties that are owned by motivated sellers. Often these are distressed properties, such as homes in need of repair or with owners in default on their mortgages. As a wholesaler, the strategy is to find an owner who is willing to sell at a lower price, and sign a contract with them to buy their property. The next step is to market the property and look for potential buyers. The goal is to sell (or assign) the contract to a cash buyer at a purchase price higher than what the seller would accept. Your profit as a wholesaler is the difference between the price you offered the seller and the price a buyer is willing to pay, minus any expenses you had along the way, like advertising. It’s important to realize that wholesaling real estate isn’t a way to get rich. Instead, it’s a way to generate cash, usually $5,000 to $10,000 or potentially more, without having to put up any money of your own. 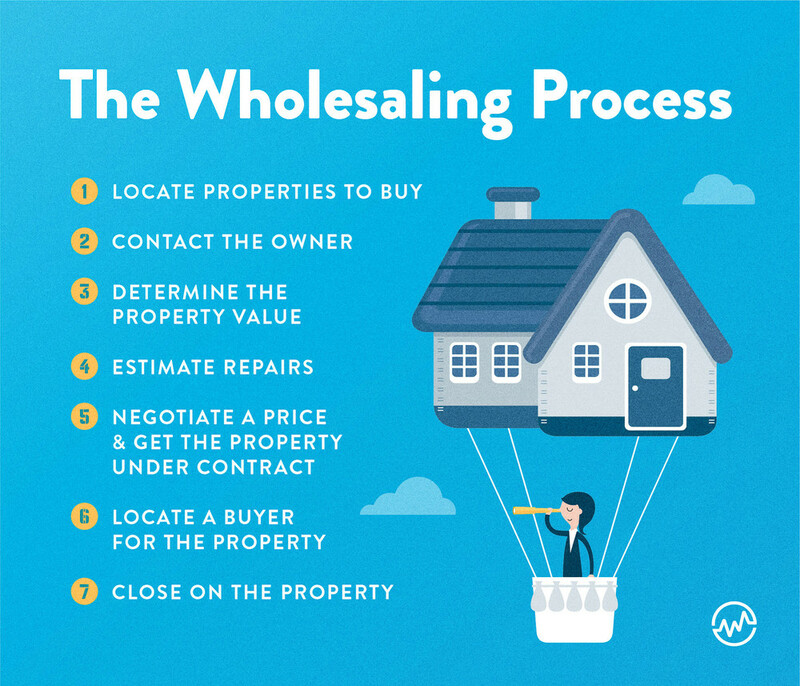 The process of wholesaling real estate isn’t complicated—it only takes a bit of hustle, and a willingness to do the legwork that’s required, such as talking with owners to find properties to wholesale. Let’s walk through the steps so that you can see how it’s done. First, you’ll need to locate motivated sellers. Real estate agents know the market and may be able to help, but for the most part you’ll want to talk to owners without someone in the middle. You can check sites like Craigslist, FSBO, and HomesByOwner. They all have listings where owners are trying to sell without a real estate broker. Here’s another option: hire someone to find properties for you to save you time. They may search online, drive around making a list of vacant houses, or go knocking door-to-door. These finders are sometimes referred to as “bird dogs”. They work on spec, which means they don’t get paid unless you make a profit. Or, you can pay them per lead. Check the laws in your state before settling on a payment arrangement. Some options require a greater up-front marketing investment than others. For example, it might cost a few hundred dollars to put out bandit signs, which can cut into your profits. Ultimately, you should pick a few methods within your budget and see what works. Because you can’t wholesale a property without making an offer on it first, you’re going to have to pick up the phone and call people. Also, keep in mind that property owners may be leery of contracting with a wholesaler. After all, it’s a non-traditional route to selling property they’ve never heard of before. But if they’re motivated, there’s not much salesmanship involved at all. Instead, you’ll need to empathize with the seller’s difficulties. For example, they might be in danger of defaulting on their mortgage. You can point out that not only will selling to you prevent that from happening— selling may help them get back on their feet financially. Just remember: the main purpose of contacting sellers isn’t to persuade them to do anything. It’s to find out if they’re motivated, and fewer than 1 in 10 truly are. If they’re not, no problem! Move on quickly. You can be up front with the owner that you’re a wholesaler. That means letting them know that your intention is to find another buyer and assign the contract to them in order to make a profit on the sale. The second option is to sign a contract with the owner without mentioning wholesaling. Many wholesalers tell homeowners that the buyer is their partner. While this practice is not illegal, it is somewhat ambiguous. 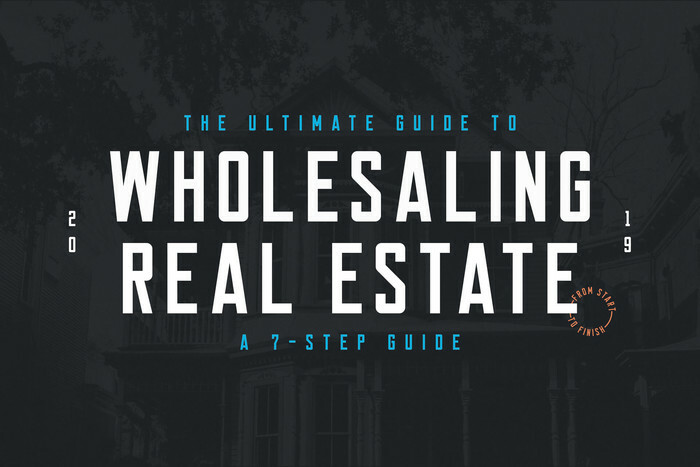 You can learn more about wholesaling laws here and always proceed with caution. Your goal in the negotiation is to get the owner to agree to sell the property at a low price. You can find simple real estate contracts online and alter them to suit your needs, or have an attorney in your state make any necessary edits. If you’re going to buy a property under market value, then you need to know what the market value is in the first place. The first reason is to quickly find out if the seller is motivated. If they tell you their house is worth $200,000 and they’re asking for $200,000 then it’s obvious they are not motivated and we recommend not spending much more time talking with them. If you ask the owners for the least amount they would accept and they give you a figure that is $20,000 or more under market value, then you know you’re onto something. 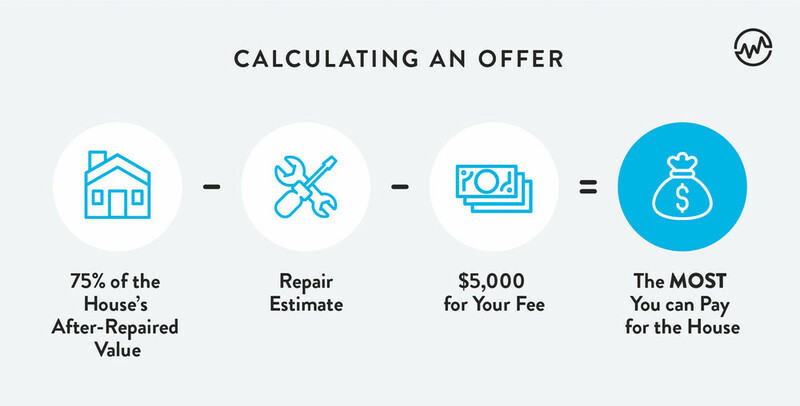 When you’ve found at least 3 previous sales that match this criteria, then you have a range in mind of what the house you’re looking at could sell for once any needed repairs have been completed. A real estate agent is the best way to get this information. 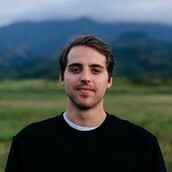 You can also search yourself using Zillow.com. Just make sure to find the comps yourself and don’t rely on their Zestimate, which is significantly off most of the time. We’ll get to the part about what price to offer the seller soon, but before you come up with that figure, you’ll need to factor in repair costs. Why would you do this if you’re selling to an investor and not an owner-occupant? The reason is this: it’s an expense that will cut into their bottom line, and you’ll have to lower the price accordingly. Even though they’re not living there, they will still need to be able to attract a tenant or another homebuyer. Your best bet—until you have rules of thumb for various repair costs—is to get estimates from contractors. When you tour a property, bring a contractor with you to see what needs repair. Another option is to make a list of everything you see as you walk around, and run it by the contractor afterwards. Keep an eye out for things like paint, carpet, cabinets, counters, appliances, or anything else that needs to be redone or replaced. A good rule of thumb is when in doubt, assume it has to be done! For example, look at the roof. How old is it? Does it need to be replaced? How about the windows? Look at the major systems in the house as well, such as the electrical, heat, and plumbing. Once you have a ballpark estimate of the repair costs (and be conservative), you can use these numbers to justify the price you offer the seller. Now it’s time to negotiate a price with the seller. You’ll need to go in with a knowledge of your repair estimates and also what the house could sell for afterwards. Here’s a quick example: the house is worth $100,000 after repairs, so you lower that to 75% ($75,000), and subtract the repair costs of $15,000 and your profit of $5,000, bringing the total price down to $55,000. You can always start the negotiation even lower than that, but that is the most you can pay and still earn what your time is worth. If the seller accepts (and probably 1 in 4 motivated sellers will), then sign a contract to buy it and give yourself 30 days to close. Now that you have a contract to buy the property, you have an asset to sell. Your next step is to find someone to buy you out of the contract and close on the property with the seller. You’ll need to work quickly, since your contract with the seller will expire in 30 days. But, since you’re looking for buyers who can pay cash, they will be able to close quickly because they don’t have to qualify for a loan and jump through all the hoops that would require. If you have a list of local real estate investors, email or call them immediately to ask if they’re interested. Print flyers with the property information and distribute them. List the property on free sites like Craigslist or Zillow. You may be able to find other creative ways to spread the word about the available property. But regardless of what you do, the real power is in building a buyer’s list so that when you do this again in the future, you can notify as many qualified buyers as possible right away. The final step is finding a title company to handle the closing. You want to find one that understands what wholesaling is (quite a few don’t). The right title company will also be able to do a title search for you within a few days. A title search is necessary to find out if there are any liens or other surprise encumbrances on the property. Don’t wait until this is done to announce it to your buyers, though, in the interest of time. 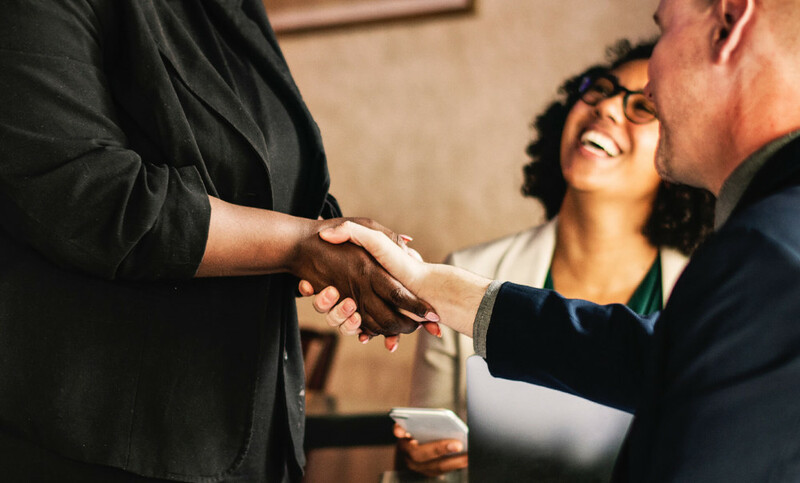 Once you’ve found your buyer, get them in touch with your title company as well and they will take the lead in coordinating the sale, collecting funds from your buyer and preparing the settlement statement. Once the seller and buyer have signed the final closing documents, then the title company will record the deed and it’s payday for you! You’ll receive your funds by check or wire transfer. Is Real Estate Wholesaling Right for You? If you’re willing to do the legwork, real estate wholesaling can be an effective way to earn money. I’ve personally done it dozens of times myself, to generate cash to use as a down payment later on a flip or long-term rental. It’s one of the few things that pretty much anyone can do to make money in real estate. But still, there will be a learning curve, and remember—the first deal is always the hardest. Stick with it, and you’ll find that you’ll have a consistent source of cash or capital for years to come.